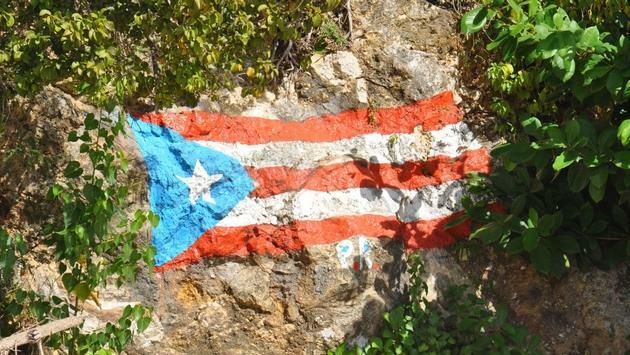 But in Puerto Rico, a U.S. territory that’s been working tirelessly to pick up the pieces since 2017's natural disaster, the new measure is seen as critical to creating a bigger, bolder and more resilient future for the island. SB1121 is designed to elevate Puerto Rico’s economy while also setting the island up to become a true leader in the renewable energy movement, the result of which would be the ability to better withstand future hurricanes and also improve the overall quality of life for island residents. Major highlights of the bill include banning coal plants as of 2028 and allowing for automatic interconnection to the grid for customer-sited solar energy systems below 25 kilowatts. In addition, the measure reduces utility approval time to 90 days for commercial and industrial solar projects and establishes a five-year window of total compensation for consumers’ solar energy production. Collectively, these and other measures included in the bill would turn Puerto Rico into a place that operates on state of the art technology, thus leaving behind its historic reliance on diesel and coal-fired centralized electricity generation. Remarkable as these changes are in their own right, they also position the island to be at the forefront of sustainable tourism. 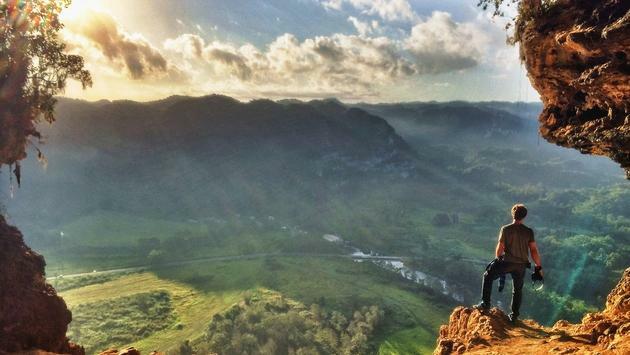 An island known for its beaches and culture, Dean explained during his recent discussion with TravelPulse, how Puerto Rico’s travel industry is now emerging as a trailblazer in sustainability. One of the primary examples he pointed to is the island’s new Green Certification program. Puerto Rico is the first island in the Caribbean to develop such a program. The certification guarantees that endorsed participating tourism facilities comply with a long list of sustainable practices criteria. Participants are evaluated on such things as energy efficiency; water conservation; proper management and disposal of waste products; recycling programs; use of green of eco-friendly vehicles and more. As part of its new Green Certification effort, Puerto Rico created the first “Design and Operation Guide for Sustainable Tourism Facilities.” Recognized by the EPA, the guide allows for evaluation of the viability of each property in obtaining certification as Green Lodging. In essence, said Dean, the certification program provides the private sector with practical guidelines and targets for green tourism and emphasizes sustainable operations. Already 10 hotels have joined the program including 4 Casitas Bed and Breakfast: La Jamaca: Casa Sol B&B; Parador Turtle Bay Inn; Hotel Lucia Beach; Hotel Dreams; Rainforest Inn B&B; Hix Island House, Vieques; Parador Combate Beach Hotel and Pitayah Glamping Eco-Retreat. Obtaining the certification is becoming more and more of a priority across the island, continued Dean, adding that the intent is to make the certification a continuous effort for those involved. The green award will be good for two years and there is to be an annual review of each participant’s sustainable operations and practices. “The goal is not just to achieve sustainability, get a plaque and put the plaque on the wall, but to make this an ongoing commitment,” Dean explained. Yet another emerging part of the travel industry pivot now taking place is the growth of eco-friendly agritourism, Dean explained. Puerto Rico’s climate, topography, hydrology, soil diversity, and geology have historically made the island an ideal place for diverse agriculture. Among its major crops is coffee, which was first introduced during Spanish colonial rule. By the end of the 18th century, the island was producing more than one million pounds of coffee annually. Puerto Rico is now hoping to tap into that history and position itself as the Napa Valley of coffee. There are several coffee plantations on the island that have begun offering travelers unique immersive and uniquely local experiences, explained Dean. Coffee plantations are just one example of Puerto Rico’s diversifying agritourism opportunities. There are currently 14 locations on the island offering some form of agritourism, said Dean. This growing segment of offerings is so compelling Dean said, that Puerto Rico tourism officials have recently decided to shift their brand positioning away from a focus on beautiful beaches and warm weather, and instead place more emphasis on the island’s rich, vibrant culture, with agritourism at the heart of that. 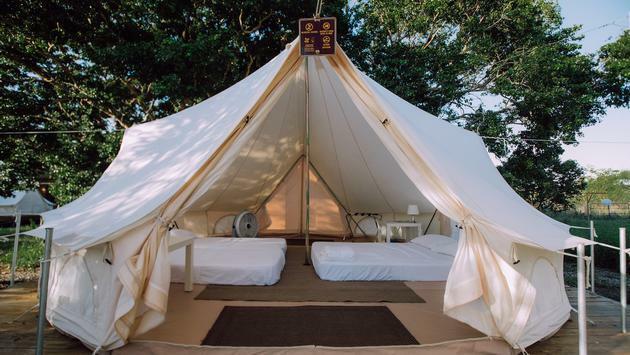 And finally, not to be overlooked, a small number of eco-friendly glamping experiences have also begun to sprout up around the island, said Dean. Among the initial options is Pitahaya Glamping Eco-Retreat, a property that’s also participating in the Green Certification program. Describing itself as the first glampsite in Puerto Rico, Pitahaya sits on five acres in the Pitahaya Cabo Rojo region. A cluster of five tents located under the shade of Guayacan tees, the property provides visitors with access to hiking, kayaking and biking trails. Finca Oro Rojo meanwhile offers what it calls a glamping and agroecological experience. Located in the mountains of Orocovis, the geographic center of the island, the ecological farm offers accommodations that were created to provide a luxurious retreat for those who want to enjoy nature. Tents are furnished with queen beds outfitted in plush linens. There are also private baths and hot steam water. Meals, meanwhile, consist of locally sourced food. Guests can also harvest and cook their own food from the property’s agroecological gardens. Activities at Finca Oro Rojo range from hiking to working on the orchard, learning eco-farming or simply relaxing in a hammock. All of these developments represent just a fraction of what's taking place within Puerto Rico's tourism industry. They are shining examples of the island's renewed energy, vitality and focus on its brighter future. The goal of the island's growing Ecotourism Program is to broaden the overall offer, while also ensuring the quality and standards of what's being offered. That effort will include a focus on not only meeting visitor expectations but also highlighting Puerto Rico's distinctiveness and showcasing a sense of place and authenticity. Hurricane Maria, says Dean, unleashed an entrepreneurial spirit on the island, including within the tourism industry, that has not been seen in years. Evidence of that can be found in the form of the countless new businesses, as well as reinvented businesses. It can also be found in the desire to not just grow, but to grow responsibly and sustainably. In many ways, the newly adopted 2050 sustainability benchmark is serving as an energizing challenge for Puerto Ricans. “We have a unique opportunity right now to position Puerto Rico as a global leader, to elevate prosperity throughout the island and it’s not just an economic opportunity, it’s an opportunity to do things the right way,” said Dean. Make no mistake about it, concludes Dean. Puerto Rico is coming back. It is coming back bigger, better and stronger than it was before. 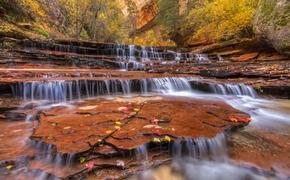 And it will do so in large part through tourism and its green new deal.